Our Drinking Cups White are a versatile addition to any environment with their suitability to medicinal drinking, dentistry gargling, water coolers or paint pots in nurseries. With their large 200ml capacity, each individual plastic cup can be fully recycled making them an economical choice while the flexible design makes them perfect for use with cold waters or liquids. 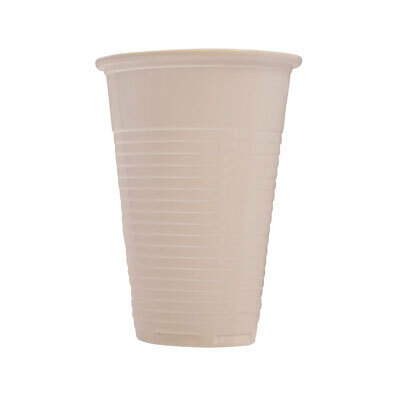 Stacking together, either in a store cupboard or inside a water dispenser, this large pack of white cups offers an economical and practical solution in all manner of situations. Our drinking cups are also available in Clear so you can choose the most appropriate product for your specific needs.